Classic chrome effect styled wall washer featuring a glass inset. Complete with a 2.5W 250lm 4000K cool white LED G9 lamp. H x W x D: 75 x 280 x 155mm. 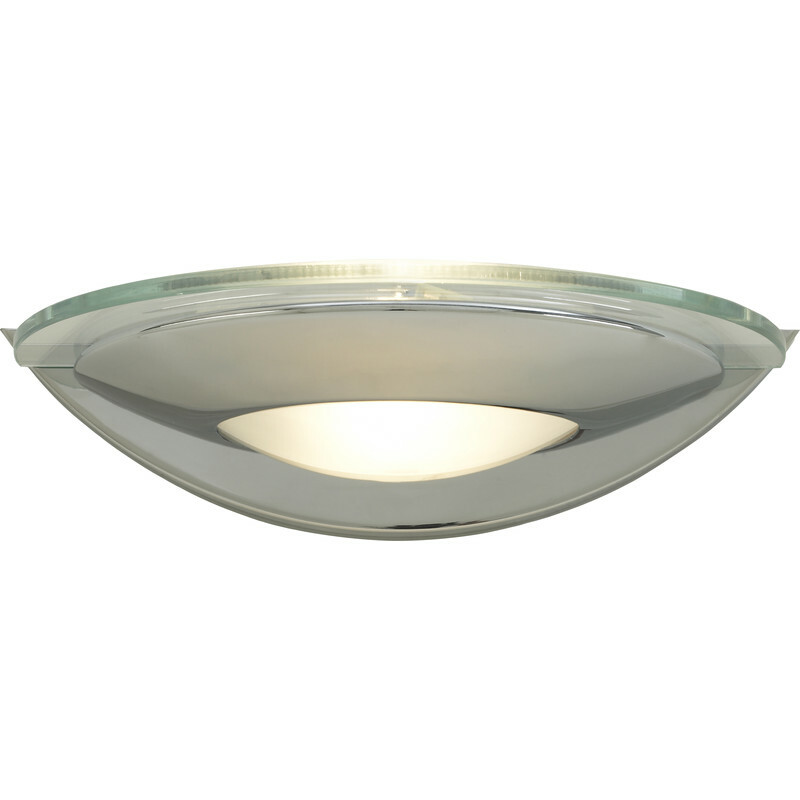 This luminaire is compatible with bulbs of the energy classes A to E and is sold with a bulb of the energy class A. Cascade Holdings. G9 LED Chrome & Glass Wall Light 2.5W G9 250lm is rated 4.7 out of 5 by 3. Rated 5 out of 5 by Rspencer from Excellent lights These are nice lights, although they seem to be permanently out of stock, or only one is available. Who only uses one uplighter?? I had to go to two branches 20 miles apart to get a pair! Also illustrated in the catalogue they are the wrong way up, which is a little confusing. However, once installed super!